Silk Road Group offer special interest tour packages. We have prepared these packages after well research and hard work. Our special interest tour packages provide tourists wonderful opportunity to see several charming destinations of Rajasthan and several other destinations of special interest. Our blended special tour packages take you to the famous tourist destination of India. Our tour packages cover the exhilarating and the most famous tourists’ destination in the world. 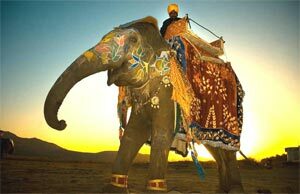 To get a deeper insight in to the mysteries and the richness of India, go for special interest tours. A proud showcase of India; readily available special interest products. More than two decades tours covering Archaeological Sites, Spiritual Sites, Incentive Tours, stress Relief Programs, Rural India, Engineer's Tour, Photography Tours, Romantic Interludes, Doctor's Tour, Shopping Tour, Women's Group Tours and many more... what's more, we can custom - design an itinerary on any subject for you. India is the most sought-after country for Special Tour because the Indian sub-continent ranks among the most extraordinary destinations in the world. Special Tour in India is a picture of diversity seen in her people, culture, colorful festivals, dress and costumes, religions, flora and fauna and varying landscapes. From earliest times, great movements of peoples swept through the land, often succeeding each other and many times integrating. The result is an alluring tapestry of language, philosophy, religion, customs, literature, music, handicrafts, dance, art, architecture, myth and mythologies. Discover this magical land with our experience oriented tour packages. Our tour packages cover variety of holiday themes like religion, wildlife, adventure, culture and heritage. These packages will help you to see different shades of its multi hued canvas. These tour packages will not only give you holidays with more organized approach but also will help to get full value of your money. We make sure that after finishing this tour when you return to your place, you will have lots of treasured memories to cherish. India Special Interest Tours is one of India's fastest growing Inbound receptive Tour Operators keeping up with the changing global business climate and introducing new and fresh ideas in the India Tourism concepts. A reliable, efficient Tour Operator backed by experience and network of Associates with reputation of Integrity and service that blends western efficiency and eastern hospitality which will engage you forever.